Two new releases are available today for Bolt Action. 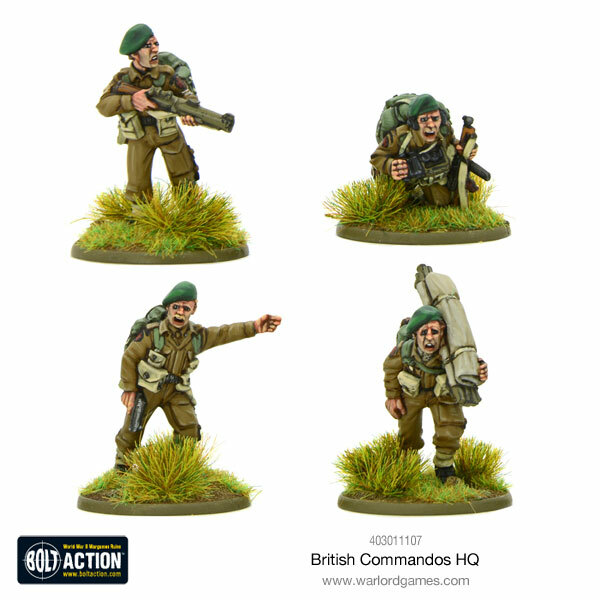 One's a new British Commandos HQ set, giving your troops some command out on the field. 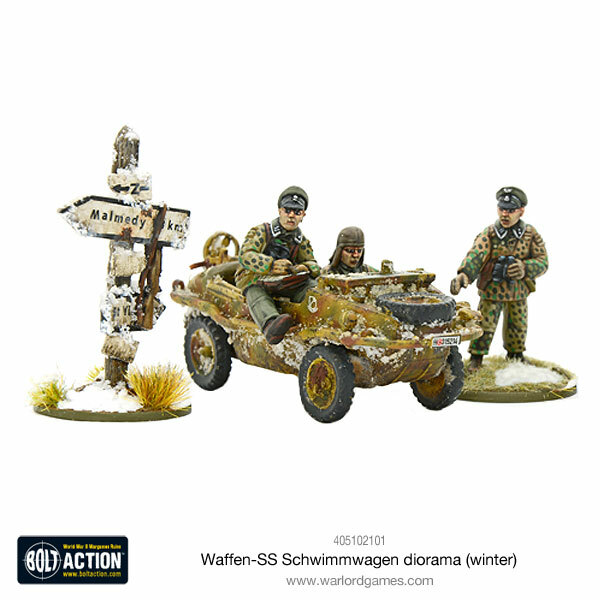 The other is a Waffen-SS Schwimmwagen diorama, depicted in winter. I know that most of the Northern Hemisphere is still pretty cold, but here in Atlanta, we've got 70s for highs. Anyway, both are available to order now. This elite force (volunteers all) was Britain’s only viable way of taking a land war to the all-conquering German army, who had thought themselves safe from Britain’s land forces. Tough, lavishly equipped and politically indoctrinated, SS troops formed over 38 divisions and numerous other regimental and battalion-sized units, totalling nearly a million men under arms. With the many plastic and metal sets we have on offer within the Bolt Action Waffen-SS range you’ll be able to challenge your painting skills and display one of arguably the best-looking formations on the battlefield.